My Saturday afternoons have been spent indoors creating and having fun. For several past Saturday afternoons, I have been doing a series of 90-minutes(-ish) drop by improv workshops at my friend’s home, and it has be FUN! 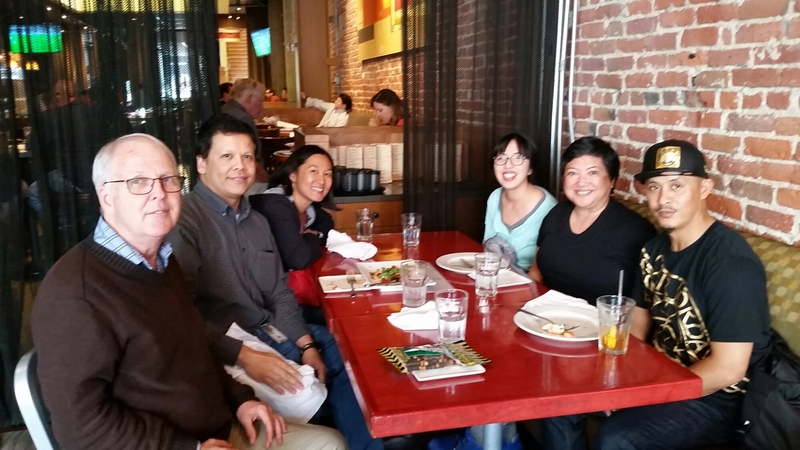 This post shares what my friends and I have been up to over in the East Bay. Homegrown Improv. My friends wanted to take weekend Introduction to Improv classes in May, and I agreed I would join them. We found two options offered – Synergy Theatre (Sundays in Berkeley, 8 weeks for a total of 24 hours) and Endgames Improv (Saturdays in San Francisco, 7 weeks for a total of 21 hours). However, because of some scheduling issues, they did not sign up for classes. The result? From a casual conversation, I said “YES!” when they asked if I would drop by their home to teach them improv on the weekends. The reference to public speaking? One of them finished reading Scott Berkun’s book, Confessions of a Public Speaker, and Berkun mentions the benefits of improv. Here is Berkun’s What I Learned From Improv Class, where he shares his perspectives about assumptions (about improv) that are wrong and what he learned. After agreeing to pull together a loose curriculum to support my friends’ interests – AND with the surprise of their 10-year old son also wanting to play, the following are how we have spent our last three Saturdays – warm-ups, exercises, and short form games. We started scratching the surface on demonstrating some of the basics. (Yes, these are in order.) Prior to getting improv-physical, I talked a little about improv and applied improv. I pulled from my bookshelves a variety of improv-related books and a card game to kick us off. These were pulled to let them know the variety of improv-related resources. I also talked about online resources. And of course, I mentioned Mama Tina Fey (via her interview at Talks at Google) and the four rules she shares from Bossypants, The Way of Improvisation (TEDx talk) by Dave Morris, and VAPAPO from Jill Bernard because it would be fun to make up characters. Based on their reaction about what they enjoyed (and did not enjoy), I added a few more like-kind warm-ups and exercises – AND I snuck in some scene work via “Shop Talk” and variations of “Scene Paint” exercises. Turns out – they enjoy scene work, are naturals at creating characters, and have fun doing so! Ask me about their Shop Talk scene of earthly superheroes as customers in a cupcake eatery. What a treat to watch them! Based on their reaction AND what I enjoyed watching, I added a few more like-kind warm-ups and exercises, revisited a few oldies, and snuck in creating characters. Our next drop by* will be a best of our three weeks and more like-kind activities to reinforce improv basics and applied improv and to sneak in more scene work and character work. 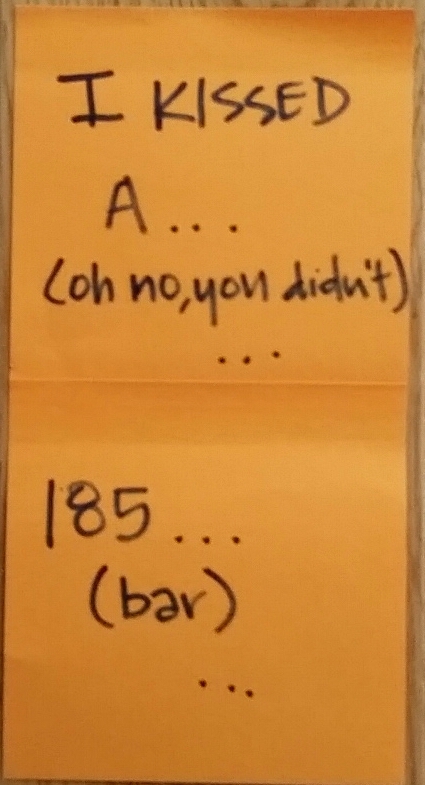 Our ritual closings – puns! Want to join us? Let me know. Want me to Drop By your place? Let me know. *We’re on a brief break and will start-up again later this month or early July. We’ll also see about jamming, so they can get the real feels of improvising with others. More than two years ago, I quit my cubeopolis job, with April 4 as my last day. Yesterday, I had lunch with a few friends. Among us all, a Libra, Pisces, Taurus, Sagittarius, Aries, and Scorpio. which is continuing more remodeling. 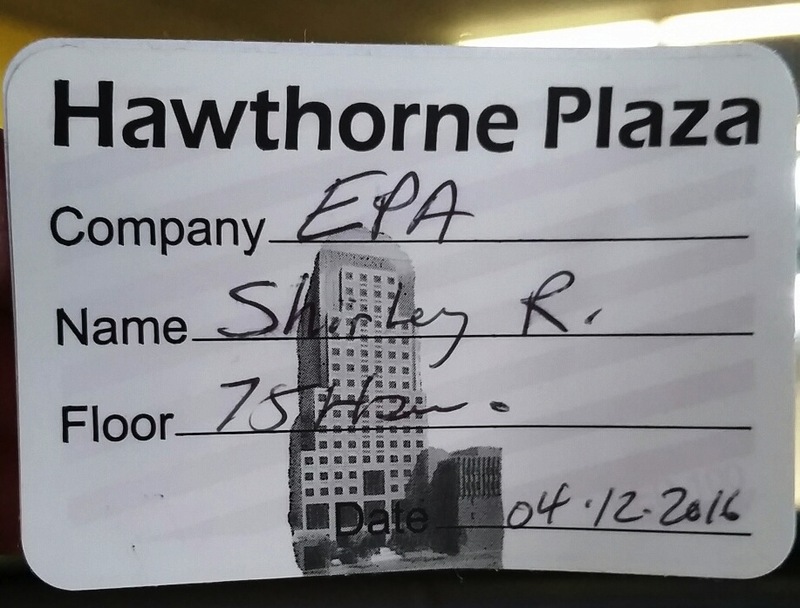 Because I was not in a socializing mood, I very surprisingly enjoyed taking a whirlwind tour of the 18th floor with “drive by” catching-up moments with a few former coworkers. And likewise, I crossed paths with several others on my way out of the building. I’ll be back (to visit longer). This post is sharing about my Sunday afternoon, spent at the University of California, Berkeley, campus, where I was reminded about friendship, living life and loving in full expression, family, and the value of mentors. This past weekend was Homecoming at UC Berkeley – Yay(!) Cal Bears for winning on Saturday. 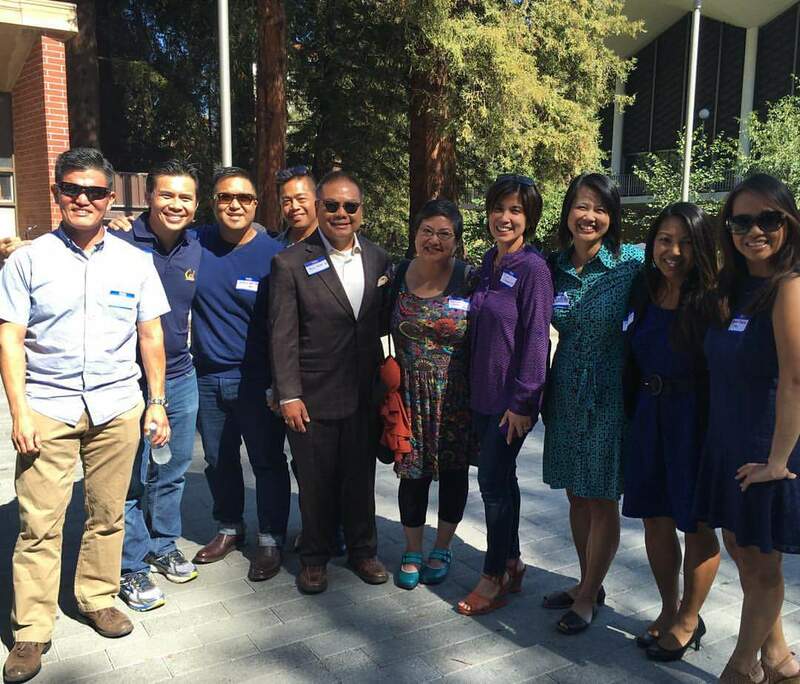 Similar to last year, the Cal Pilipino American Alumni Chapter (on Facebook) held three events – PAAC Tailgate, PAAC Mixer, and Grace Asuncison Memorial + Luncheon events, as well as snagging a section in at the stadium for the game. Grace’s Memorial Bench. Located between Zellerbach Hall and the Alumni House (aka Lower Sproul) on Cal’s campus is a lovely memorial bench. This was the site of the GRA Memorial & PAAC Alumni-Student Mentorship Event, a complimentary event for current students and alumni to meet and greet. 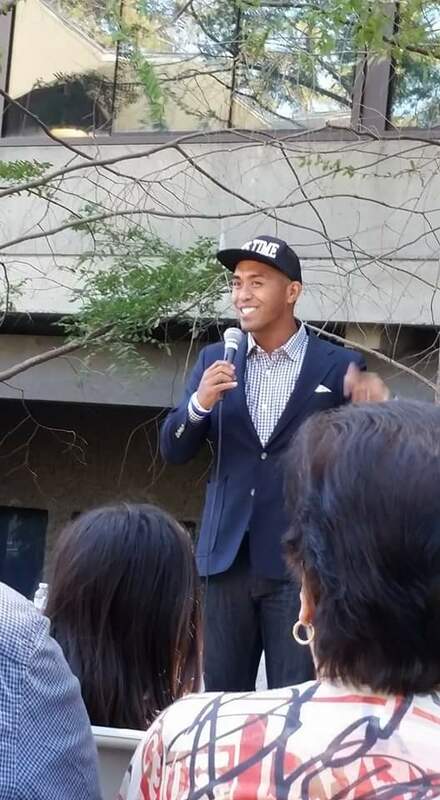 Highlights of the event included a wonderful inspirational and heartfelt welcome by Grace’s Mom, a buffet luncheon, an inspiring intro about the value of mentors, a “speed mentoring” event (think speed dating), lovely songs with keyboard accompanist, and an international motivational speaker – Romeo Marquez Jr. (on web,Twitter, Instagram). Very much an afternoon treat! Student-Alum Mentorship. Upcoming in the Cal PAAC endeavors is the formation of a student-alumni mentorship program. This is simply a note to myself and others – THIS IS GOING TO HAPPEN! Hey Cal Bears – What did you do for Homecoming Weekend? What role have you played as a Mentor? What influence has a Mentor(s) had on your personal and professional development?